They say twins share some sort of mysterious energy between themselves, like there is some supernatural force connecting them. 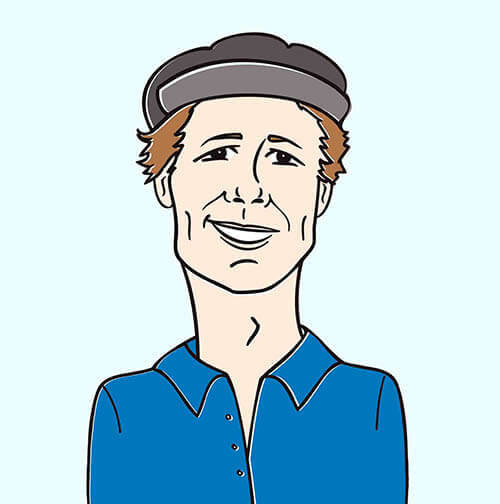 It’s Andy Gesner and the HIP Video crew with a British hip hop duo that consists of identical twins who decided to explore their gift of musical ability as one entity – Twin Thing. In their undeniable new clip “It’s Twin Thing,” the fresh duo solidifies their candidacy for British mainstream hip hop and aims their sites for the American soil. With rhymes this catchy, who are we to deny them! 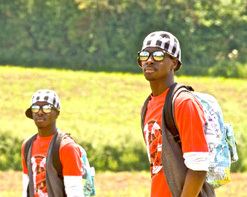 Young Ell and D2theH (born Eric and Derrick Hillman) are the talented voices behind the growing phenomenon Twin Thing. The 20 year old identical twins were born in Nairobi, Kenya but grew up in the United Kingdom, where they earned their ferocious flare. Twin Thing have a myriad of musical influences that they incorporate into their unique sound including Michael Jackson, the Red Hot Chili Peppers and the African Jazz Maestro Hugh Masekela. Their sound resonates with refined flow like fellow HIP Video alumni, The Streets, but also incorporates mainstream style and sensibility in the manner of NDubz, who also serve as inspiration after the twins met them at a party. Twin Thing have been a humble organization from the start, as all of their performance earnings thus far have been donated to Mama Upendo, a Kenyan children’s home that was founded and is supported by their loving mother. “It’s Twin Thing” is a full tour de force introduction to the duo that will be on the tip of your tongue for months to come. The track is 100% written and produced by the duo, and it’s easy to tell that twins share a common vision for their project. What makes this track truly shine is that the brothers never let their ego become bigger than the sum of its parts. Their rhymes exaggerate without being pompous, always keeping one toe on the ground. When Twin Thing describe themselves as “rocking skinny jeans with a matching flat cap,” one can’t help be relieved that this group isn’t trying to pose as some sort of gangster or club royalty. Their honest and inventive take on themselves is exactly what this bloated genre needs, and it’s working. The clip has already garnered over 11,000 views in the few weeks it’s been on YouTube. The track mixes palm muted guitars and hip hop samples to form an irresistible bond with the listener. Although it’s hard to admit, sometimes the Brits just do it better. Join us in exposing this unique indie D.I.Y. talent to the nation. “It’s Twin Thing” is a fun video that will help break up the usual flavor found in the genre with something exotic in nature. We’ve got lots of Twin Thing stuff here at HIP HQ, so feel free to reach out for giveaway and contest items. If you need more info, call Andy Gesner at 732-613-1779 or e-mail us at HIPVideo@aol.com. Also visit www.Facebook.com/ydTwinThing or www.YouTube.com/OfficialTwinThing to find out more about Twin Thing and any appearances near you.